The new government today said it will continue with the USD 1.4 billion Chinese-funded Colombo Port City project which it stopped over corruption and environmental issues. The newly appointed Minister of Megapolis and Western Development Patali Champika Ranawaka said that the port city project will go ahead. The Minister said that the government was in the process of addressing relevant issues including the environmental concerns which he was confident will be sorted out shortly. 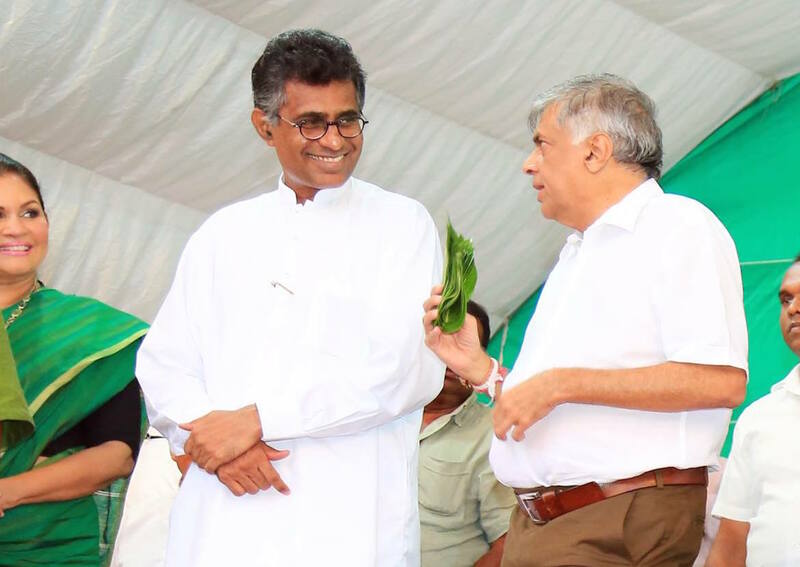 According to Ranwaka not only Colombo but the whole of the Western province will be developed in an economically viable and an environmentally sustainable manner. He said that a legal authority too will be established to facilitate the necessary reforms. The new government on 6th of March 2015 temporarily suspended the Colombo Port City Project launched by the previous government in partnership with China in September last year. The government said it was reviewing the award of the project to China Communications Construction Co Ltd (CCCC) over the allegations that the previous administration breached local laws and sidestepped environmental requirements for the deal. The government earlier said that there was no corruption involved and the only concern was if the proper procedures had been followed. Later the government gave approval to the constructor, CCCC to commence protective work on the project after the company raised concerns that the breakwater constructed so far, has been damaged due to the suspension and the suspension has threatened the livelihoods of thousands of people, almost all Sri Lankans, the company has employed in addition to the firm incurring losses of an estimated US$$380,000 per day. The government allowed the CCCC to build the 3.25 kilometer long breakwater in order to prevent damage from heavy rains and sea erosion to the project. The proposed city will be built on 233 hectares (583 acres) of land reclaimed from the sea between the Colombo South Port and the Galle Face Green. The total area of sea to be reclaimed is 252 hectares. Once completed the offshore city will have sport complexes, mini golf ground, housing and office complexes, luxury hotels and many other modern facilities.